Irvin Lin writes the award-winning blog Eat the Love, a 2011 finalist in Saveur magazine Best Food Blog Awards in the category of Best Baking and Dessert Blogs. His blog has been recognized by numerous outlets, including PBS Food, Bon Appetit’s Daily Links, Food52 News, and Slow Food San Francisco’s newsletter. He has also had his work featured in the premiere issue of the US Masterchef magazine, Yum Food & Fun, and is a contributor to the Good Eggs blog. Irvin lives in San Francisco, a block away Dolores Park, BiRite, Delfina, and Tartine with his partner of more than 20 years, AJ. You can also find him on Twitter, Facebook, Pinterest, and Instagram. 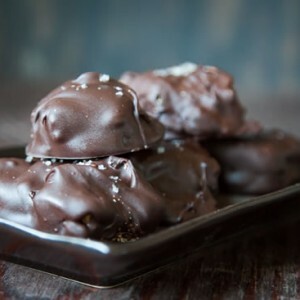 Decadent and rich doesn’t necessarily have to mean processed and empty calories. 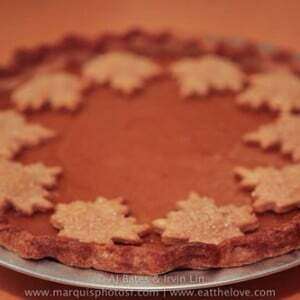 Try this pumpkin pie–I doubt you’ll switch back to the Libby’s and condensed milk version. 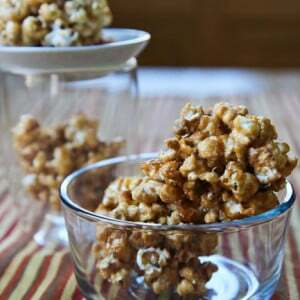 I offer to you the perfect unprocessed Halloween treat: Maple popcorn balls.